University of San Fernando Valley, J.D. 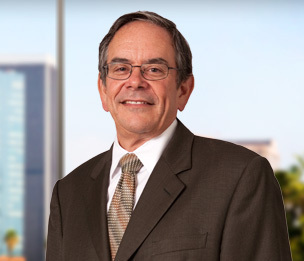 Jon Cantor is a Member in Dykema’s Los Angeles office who has more than 32 years of experience helping clients address a wide range of legal matters. Mr. Cantor is highly regarded for his entertainment industry practice, understanding the unique nuances of complex legal arena. He maintains an active litigation practice representing plaintiffs and defendants, in construction litigation (construction delay, construction defects, mechanic liens and stop notices), real estate litigation, general business litigation and entertainment matters. In addition, Mr. Cantor has handled a wide variety of transactional matters, including the purchase and sale of real estate, employment contracts, and establishing corporations and limited liability companies. As one of the most respected attorneys representing clients in the animation industry, he has negotiated over 700 employment contracts with all the major studios including Walt Disney, DreamWorks, Sony, Warner Bros. and Fox. Mr. Cantor has also acted as outside counsel for General Motors in a number of entertainment related matters. He has negotiated several multimillion dollar contracts with the National Football League, with Paramount Pictures for the third and fourth installment of the Transformers franchise, Marvel's Captain America-Winter Soldier, DreamWorks' Turbo and truTV's reality-based show Motor City Masters, as well as a number of deals in which GM has served as the key sponsor for documentary projects. His experience in the entertainment/sports law area has also included representing open-wheel race car drivers, specifically those who have competed in the CART circuit, and team owners. This entails licensing, employment contracts and sponsorship agreements. Furthermore, Mr. Cantor has represented actors and visual effects supervisors in live action films. Added to this area is the representation of producers, directors and a number of individuals in the animation industry. Mr. Cantor has previously guided his clients in preparing and making presentations to various studios on behalf of their own projects as well. Prior to joining Dykema, Mr. Cantor was a shareholder in his own firm for 20 years. Panel Member AGC of America 2009 Annual Convention "Fraud in the Construction Industry"
"Expert Advice: How To Make The Most of Your Client-Attorney Relationship"